VA Education Benefits provide financial support for your experience at IU. This page will help you understand your benefits eligibility. A summary of benefit options is listed below. For complete details about each program, visit the GI Bill® Web site. Before you apply for VA benefits, make sure you have completed the steps outlined in Getting Started. There are significant differences between Chapter 30 and Chapter 33 benefits. You can switch from the Chapter 30 program to Chapter 33, but the change is permanent, and should only be made after you understand the differing amounts of entitlement available under each program. 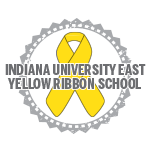 The Post 9/11 GI Bill provides up to 36 months of educational benefits toward your IU degree or certificate program. Benefits are available to you for 15 years after ending active duty. Under this program, you are entitled to funds based on the length of time you were active duty. Dependents may also use Chapter 33 benefits transferred to them by their sponsor. This program provides up to 36 months of educational benefits toward your IU degree or certificate program. Benefits are available to you for 10 years after ending active duty. You must have contributed $1,200 to the MGIB during your first year on active duty to be eligible. In most cases, in order to receive Chapter 31 education benefits, you must receive monthly VA disability payments. However, exceptions are made in some cases. This award will cover tuition, books, supplies, and other education-related expenses. Application is separate and distinct from the education benefit applications. Contact Veterans Support Services for further information. To receive funds toward your education under this program, you must be the son, daughter, or spouse of a deceased, disabled, or captive veteran. Limitations for receiving benefits vary with age, and the circumstances surrounding the veteran’s discharge. The Montgomery GI Bill—Selected Reserve benefits are available to members of the Army Reserve, Navy Reserve, Air Force Reserve, Marine Corps Reserve, Coast Guard Reserve, Army National Guard, or Air National Guard. Funding will be provided toward your IU degree or certificate program. This education program provides up to 36 months of benefits for members of the Selected Reserves, Individual Ready Reserve, and National Guard who are placed on active duty because of war or other national emergency. To be eligible for benefits under this program, you must have enlisted in the Air Force between December 1, 1980, and September 30, 1981, and meet all other military requirements, including enlisting in specific Air Force specialties at select locations. Please contact the Office of Financial Aid for more information on what each benefit has to offer you. The eBenefits web portal is an online resource for tools and benefits-related information. The portal serves Veterans, Service members , their families, and their caregivers. Register for a Premium account at https://www.ebenefits.va.gov/ebenefits-portal/ebenefits.portal. See below for the eBenefits fact sheet and tips for using the eBenefits portal.